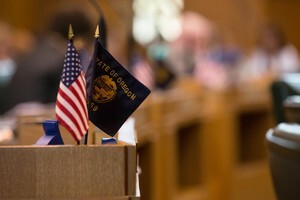 by Liam Moriarty Jefferson Public Radio March 29, 2019 4:12 p.m. | Updated: April 1, 2019 2:48 p.m. | Ashland, Ore.
Federal regulators have issued a review of a proposed natural gas pipeline and export terminal in southern Oregon that, while somewhat favorable for its developers, is being blasted as highly inadequate by opponents. 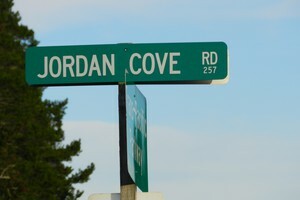 A draft environmental impact statement released Friday lists more than 130 conditions the Jordan Cove Energy Project would have to meet to minimize its negative effects. As long as those conditions are observed, the report says, the project would not have significant environmental impact. Jordan Cove’s Tasha Cadotte said the company is confident it will meet the approval criteria set by the Federal Energy Regulatory Commission. Cadotte said her company pledges to be a good neighbor. But many Oregonians have been skeptical. The proposed pipeline extension and LNG facility have faced years of fierce opposition from community groups, tribes and affected landowners. This is the third time project backers have tried to get approval from the Federal Energy Regulatory Commission. Allie Rosenbluth, with the environmental group Rogue Climate, says the third time should definitely not be the charm. A public comment period extends to July 5 and public hearings are expected to be scheduled this spring. Pembina, the Canadian-owned company behind the Jordan Cove project, hopes to make a final investment decision on the project by next January.